Cancer stem cells, identified in gliomas as well as in other cancer types, are defined as undifferentiated cells with the ability to self-renew, differentiate to multiple lineages, and initiate tumors that mimic the parent tumor. Glioma stem cells are resistant to radiotherapy and chemotherapy and play a major role in repopulating tumors following treatment. 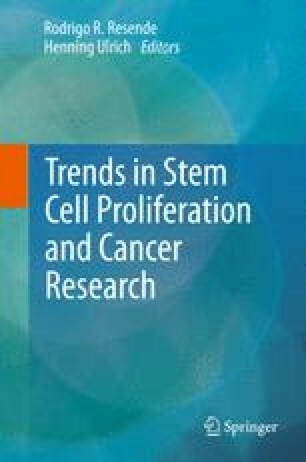 An integrated view of the markers, niche, and vasculature, as well as therapeutic resistance, is essential to understand the key processes occurring within glioma stem cells and, therefore, to identify potential therapeutic targets that can lead to the development of more effective cancer treatments. This work was partly supported by the strategic project PEst-OE/SAU/UI4013/2011 from Fundação para a Ciência e a Tecnologia (FCT), Lisbon, Portugal. E.T. was a recipient of a PhD fellowship (FCT—SFRH/BD/63961/2009) from FCT. Further, this work was also supported by FAPERJ, CAPES, and Instituto Nacional de Neurociência Translacional, CNPq, Brazil.